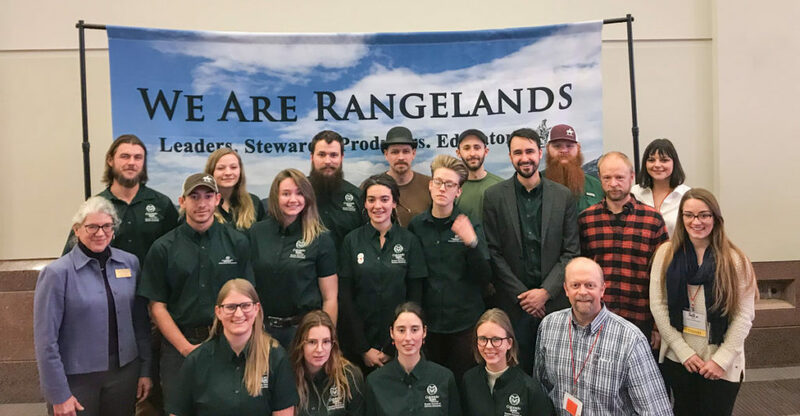 We support high school youth and college students learning about rangelands through Camp Rocky, FFA, the High School Youth Forum, and the Colorado State University Rangeland Ecology Club. Winter Report - Learn about the students who will be representing the CO Section at the 2019 SRM Meeting in Minneapolis. Camp Rocky, Colorado’s natural resources high school camp, is held on the second week of July at the Rocky Mountain Mennonite Camp near Divide. The Colorado Section of the Society for Range Management gets exposure by having a High School Youth Forum delegate give his/her paper presentation as part of the Camp Rocky program. We also present SRM belt buckles to the “top hand” in the rangeland management group. The CSSRM sponsors youth to the High School Youth Forum each year as part of the SRM’s annual meeting and convention. Our delegates always give excellent papers as their participation in the illustrated talk competition of the Forum. 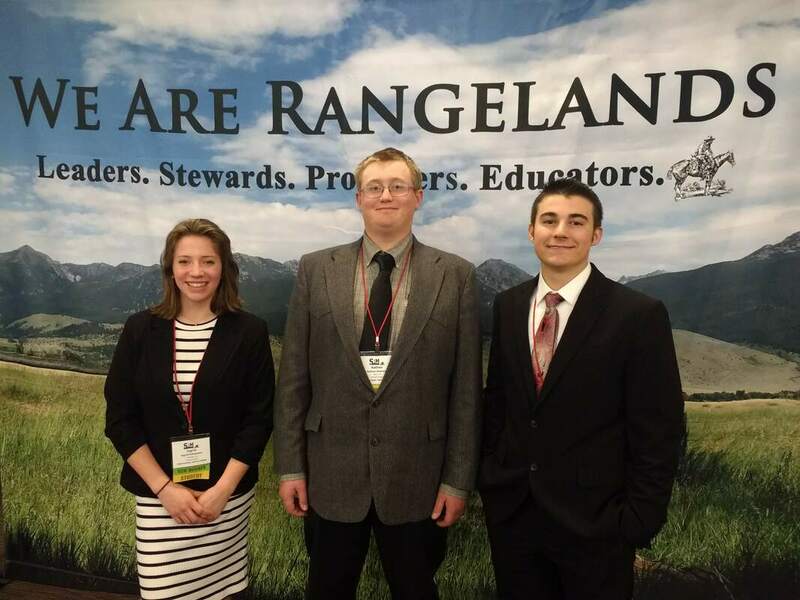 We select our delegates from the top campers in the rangeland management group at Camp Rocky and from the high scoring individuals at the state FFA rangeland judging competition. Our Section assists in the coordination of several FFA rangeland judging activities in the state. 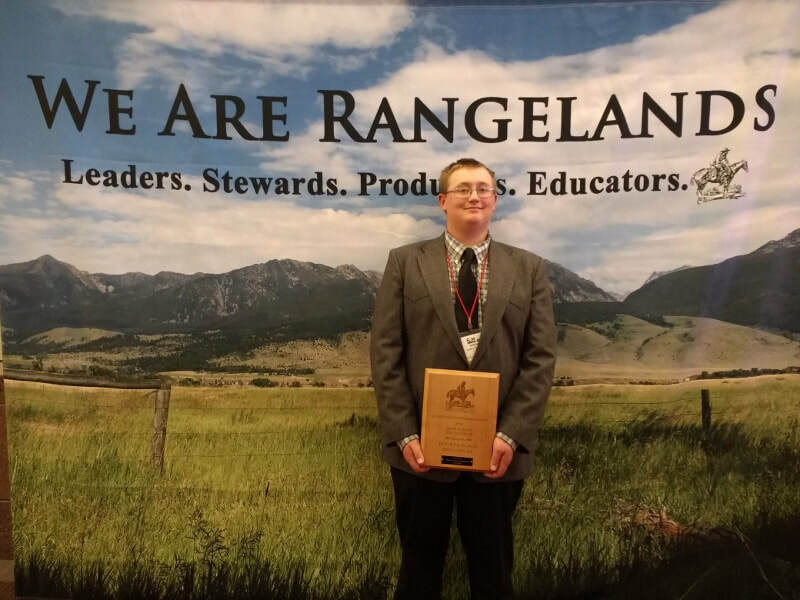 These included the southeast Colorado FFA regional Rangeland Judging Contests and the Eastern CO State FFA Rangeland Judging Contests. We present a check in the amount of $200 and SRM plaques to the high scoring individuals at these contests. The CSSRM solicits high school and college freshman range science students to apply for the Masonic Range Science scholarship that is awarded at the SRM annual convention. We advertise for applications to be submitted for this prestigious scholarship through State FFA and 4-H sources. For more information about our high school student opportunities, please contact Ben Berlinger our High School Youth Program Chair. ​Students from Colorado State University and Front Range Community College are welcome to participate in the club from August to May each year. There are no dues for the club, but members participate in several fundraising events during the year to raise money to attend the annual SRM meeting and conference. In addition, club members compete at many of the collegiate events offered at SRM including the Undergraduate Range Management Exam (URME), plant identification, extemporaneous speaking, and Rangeland Cup competition. Club members also enjoy an annual picnic, guest speakers at club meetings, and restoration volunteer projects. Officers for the upcoming school year are nominated and voted in to office near the end of the spring semester. The club's president serves as a member of the CSSRM board and relays information between the two organizations. Develop an understanding of range ecosystems and the principles applicable to the management of range resources. Assist all who work with range resources to keep abreast of new findings and techniques in the science and art of range management. Improve the techniques in the science and art of range management. Improve the effectiveness of range management to obtain from range resources the products and values necessary for human welfare. Create a public appreciation of the economic and social benefits to be obtained from the range environment. Promote professional development of its members. For more information on the club, connect with them through their Facebook page or by email. Colorado State University had a successful year at the 2019 Annual SRM Meeting in Minneapolis, MN. There were 13 undergraduate and 6 graduate students competing in various student events. The students who competed in the Undergraduate Range Management Exam placed 3rd as a team and Cody Mortell took home the individual 1st place award for the contest. Alexis Emslie took home 1st place in four photography categories. Two graduate students took home the top two honors for their oral presentations of their research; Jasmine Bruno - 1st place and Kevin Jablonski - 2nd place. Troy Ocheltree received the Early Career Undergraduate Teaching Award from the Range Science Education Council. Check out the article written by Karina Puikkonen, CSU Communications Coordinator.